12:15pmET: Week 5 projections FINAL now posted. Good Luck today!! -- I told you Ben McAdoo would not push Gallman -- Darkwa announced as starter. Everyone is so excited about Gallman looking OK last week -- before that Darkwa was the guy looking great and not getting work. -- Ealy, Roberts, Martin...under the radar depth on Jets D inactive today. 11:20amET: Everything I am hearing from various circles, including the head of NFL for these injuries -- Davante Adams is good-to-go, no limitations. 11:05amET: FYI, if I ever get my hands on that Pepsi celebration commercial with Joe Staley and 'no i's in celebration' punch line -- I swear, I am going swing it around and hurdle it into the sun. Good heavens who thought that was a good commercial? FYI, Diet Pepsi in general can also take that ride into a fiery death as well. Is there anything more disappointing in life than this exchange: "What will you have to drink?" Oh, Diet Coke... "Is Diet Pepsi OK?" No...not really, but I guess I'm screwed with your choice of having the far lesser consumed beverage on the planet as your option. Also, heading to the sun -- sideline reporter humans who report that THEY just talked to X player and X player said they wanted to get off to a fast start and put points up early. Honestly, an ESPN paid person just dropped the mic with that info...it was her key thing to watch for -- Dallas trying to put up points early. Is there a team game planning not to score early? Like, they're just saving scoring til later like dessert after dinner? 10:25amET: I wouldn't be shocked if Cam tries to rack numbers to divert the controversy...and he does so running the ball. Not passing. OR does he just go hide under a towel most of the game, per usual? BUF at CIN = Very likely rain in this game and a little windy. This is the game that looks like it could be a little messy...which plays to the Bills. 10:00amET: The note on Eddie Lacy being treated as a 'starter'...I think it could be a tell on either Rawls not 100%, or they are just full of S/bluffing. If Rawls is inactive -- then I would be over the moon with J.D. McKissic. 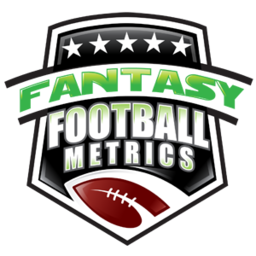 9:20amET: If you buy Mariota down 2-3 weeks...basically into a Week 8 BYE...four dead weeks ahead for Rishard Matthews as well. -- I knew when the Titans added Brandon Weeden that something was wrong...Mariota out this week, and may be out 2-3 weeks. If he's your QB1 in redraft, a tentative one, and you have a nice QB1b on the roster (Prescott, Goff, etc.) and you are eyeing adding maybe Goff or Trubisky and unsure what to do with Mariota -- I'd try to add Goff and/or Trubisky but keep Mariota through this week if possible to do two things: (1) See if Mariota is back suddenly, and (2) If Trubisky, get a look to see what John Fox has him doing, etc. However, if you're roster crunched for space to not want to carry 3 QBs as you hit the BYE weeks...and Goff is out there, I could see making the swap/drop. Maybe even for Trubisky if Trubisky would be your QB2 and Mariota QB3/benched. Mariota misses three weeks and then a BYE -- you aren't getting him back until Week 10. Mariota only matters as a high-level FF guy because of running...and if that goes with a hamstring, then forget it. Goff better...Alex Smith may be better. It's a tough call but you cannot carry Mariota around for 3-4 weeks of nothing with other options in the midsection of the season, especially if you are 1-3, 2-2 in redraft and scuffling through David Johnson injuries etc. You'd like a week to see on Trubisky and see what happens with Mariota, but you may not have that time to spare. -- Chargers rookie WR Mike Williams supposedly debuting in Week 6...I'm not afraid of his mediocre talent, he's the wrong guy in the wrong offense. It does mean Tyrell Williams takes another bullet. -- The Jags will be missing their starting Center this week...not good for a Jags upset hope.